Tamil hero Surya, who is waiting for a solid hit from the past few years has come up with a Tamil film called Thananaa Serndha Kootam. Directed by Vignesh Shivan, this film has released as ‘Gang’ in Telugu today. Tilak(Surya) is a frustrated guy whose dreams of becoming a CBI officer are shattered by some corrupted officials. Upset with this, he himself forms his own gang and starts riding the businesses of big shots as a fake CBI officer. Will the real CBI officers catch this Gang? What happens in the end? Forms the story of the film. Surya’s impressive performance in his role of a fake CBI officer. His dialogue delivery and mannerisms during crunch scenes look decent. Keerthy Suresh looks cute and did the best in her limited screen presence. Ramya Krishna gives a natural performance and is a perfect support to Suriya. Actor Karthik is good as a tough CBI officer. A few social issues related to corruption have been showcased in an interesting manner. Comedian RJ Balaji evokes few laughs here and there. The entire crew in Surya’s gang did justice to their given roles. Though the film is narrated in an entertaining way during the first half, it lacks proper depth in certain crucial areas during the later part. A few robbery scenes have not been dealt in a proper manner. There is a heavy Tamil flavor which looks odd most of the times. The climax episode looks a bit over the top and is rushed completely. The love track between the lead pair does not generate the necessary effect. The film has good camera work by Dinesh. Sreekar Prasad’s editing has made the film a good one. The film has Good locations and the production design is neat. The set work is good. The music scored by Anirudh Ravichander is okay. The background score did not make any big impression, but it tried to leave a positive impression. On a whole the technical aspects have come out well. Editing by A. Sreekar Prasad is good as he kept the film’s narration short and crisp. Cinematography by Dinesh Krishnan is impressive as he succeeded in bringing the 80’s feel to the film. Music by Anirudh is a big letdown as none of his songs are decent to listen. Production values for this big budget film are good. The original script is very serious, and the makers were very much aware that it needs some entertainment quotient. They have added the necessary commercial elements as well as entertaining aspects properly and brought out a decent product. 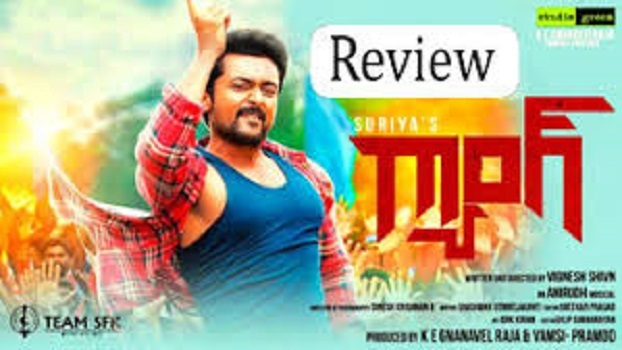 The first half is good with some decent episodes but when it comes to the second half the film appears to be running fast but because of nothing much happening irrespective to the story, we feel a boredom in watching the movie.